The water of the West Baden Hotel was bottled and sold as a medical elixir to cure whatever it is that ails you. Known as "Sprudel Water", the players drank it up and soaked away their troubles... and then drank up everything else in town at the local watering holes. 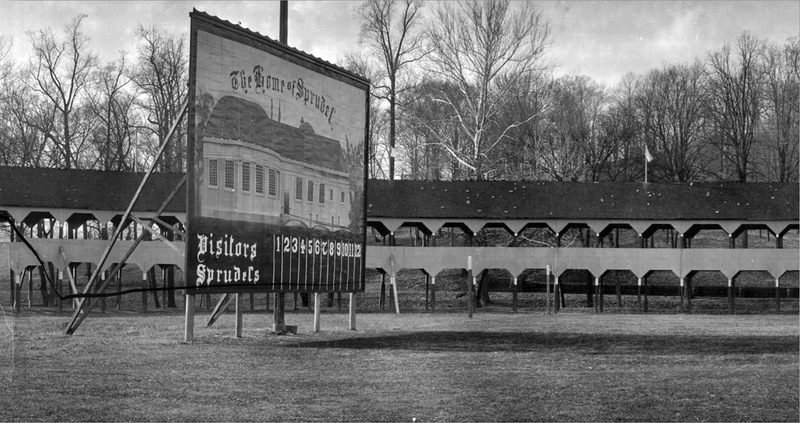 The French Lick Hotel in turn sold "Pluto Water", offering the same therapeutic properties. The warmth they received from the sulpher springs nearly made up for the long days on the hard dirt and fields of Indiana in March. Spring Training was tough on these players as cold and snow made for a trying month of training.